Dr. Pranav J. Shah is a Professor in the Pharmaceutics & Pharmaceutical Technology Department of Maliba Pharmacy College at the Uka Tarsadia University, Bardoli, Gujarat. He received his Ph.D.Degree in Pharmacy from The Maharaja Sayajirao University of Baroda, Vadodara, Gujarat in 2007. Then worked as a Research Scientist in Formulation & Development in various pharmaceutical companies and then joined as a Professor in Maliba Pharmacy College since July 2011. He is having 10 Years of Experience in the field of Pharmaceutics. He has authored 11 publications in national and international journals. His Area of Expertise includes: Formulation development of conventional and novel drug delivery systems. 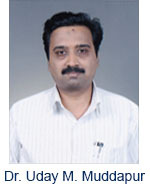 Dr. Uday M. Muddapur is a Professor in the Biotechnology Department of KLE, Dr. M. S. Sheshgiri college of Engineering and Technology, Udyambag, Belgaum. He received his Ph.D. Degree in 2004 from Karnatak University Dharwad. He is having 10 Years of Research Experience in the field of Biochemistry and Biotechnology. His Area of Expertise includes: Enzymology, Protein chemistry, Bioinformatics and Nanotechnology. Mr. 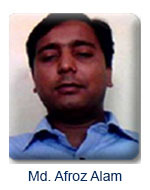 Viral D. Jagiwala is a Formulation Scientist in the Formulation Development Department of Sidmak Laboratories (India) Private Limited.He received his M. Pharmacy Degree in Pharmaceutical Technology from Charotar University of Science and Technology in 2011 and earned his Then worked as a Assistant Professor in Shree Dhanvantary Pharmacy College, (Affiliation: Gujarat University) for 1 year 4 months. 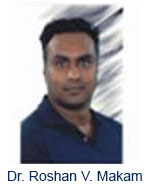 He is having 1 year 5 months Years of Experience in the field of Formulation Development Department.He is the author of Project "Development of Ethosomal Gel For Topical Delivery Of Metronidazole", (ISBN 978-3-659-15753-0), has been published at LAP LAMBERT Academic Publishing, AV Akademikerverlag GmbH & Co. KG Heinrich-Böcking-Str. 6-8,66121, Saarbrücken, Germany. His Area of Expertise includes: Nano-Technology, Formulation development of Solid orals and Trans-dermal drug delivery Systems, Technology Transfer of Solid orals and Trans-dermal drug delivery Systems, Pelletization, QbD activities. Md. 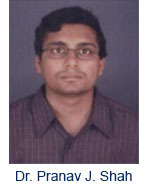 Afroz Alam is Assistant Professor in Department of Bioinformatics, Karunya University. 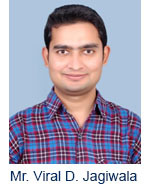 He has completed his Ph.D (Bioinformatics) from Jaypee University of information technology, Waknaghat, Solan, Himachal Pradesh, India. He is having 8 years of Research Experience and has published thirteen papers in national and international Journals. His area of specialization are Molecular Modeling, Drug design, QSAR, Algorithm design and technique, DNA Fingerprinting, Phytochemical profiling and mathematical modeling and Genetic diversity. 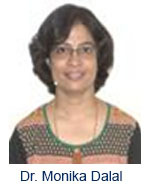 Dr. Amita Verma is Associate Professor in the Department of Christian School of Health Sciences in Sam Higginbottom Institute of Agriculture, Technology and Sciences, Allahabad, India. She has completed her Ph.D from Hamdard University in 2007. 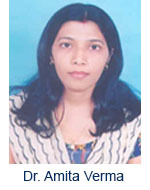 She has published seven papers in national, three papers in an international journal and four papers in conferences. She has qualified GATE. Dr. Bharat Bhusan Subudhi is Associate Professor in Pharmaceutical Analysis and QA Department of School of Pharmaceutical Sciences at Siksha O Anusandhan University, Bhubaneswar. He received his Ph.D. Degree in Pharmacy from Utkal University in 2008. 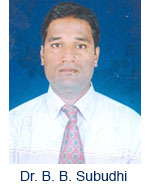 He is having 12 Years of Experience in the field of Pharmaceutical chemistry and analysis. His Area of Expertise includes: Medicinal chemistry, Pharmanalysis. Dr. Monika Dalal is a Senior Scientist at National Research centre on Plant Biotechnology, New Delhi, India .She received her Ph.D. Degree in Life Sciences from Devi Ahilya University, MP, India in 2000 and earned her postdoctoral from IISc, Bangalore and University of Arizona USA. Then worked as a research associate at NRCPB for about 5 Years. She is having 14 years of experience in the field of Molecular biology and biotechnology. Her Area of Expertise includes: Functional genomics for abiotic stress tolerance in plants. Dr. Nooruddin Khan is an Assistant Professor in the Department of Biotechnology and Bioinformatics at the University of Hyderabad. He received his Ph.D. Degree in 2008 from Center for DNA fingerprinting and diagnostics, then worked as a post-doctoral fellow at Emory vaccine center, Atlanta, USA for 3 Years. 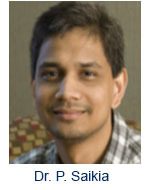 He is having 6 Years of Experience in the field of Immunology. He has several publication in international renowned journals including science, nature immunology, Blood etc., He is recipient of GP Talwar young scientist award, Bio-asia innovation award etc. His Area of Expertise includes: systems immunology, molecular immunology, infection biology and vaccine/adjuvants engineering. Dr. P.T.V. Lakshmi is currently working as Associate Professor at Centre for Bioinformatics, Pondicherry University, endeavors to formulate viable and vital drugs of plant origin by adopting phyto-finger printing and pharmaco-genomic strategies. 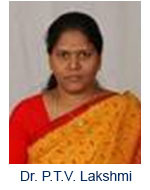 She was awarded Ph.D degree by the Madras University (2002), India and served in Institutes like BIU-Chennai, University of Madras and Hindustan Arts and Science College, Chennai before assuming office in 2005 as Assistant Professor at the Department of Bioinformatics, Bharathiar University, Coimbatore. She established the PHYTOMATICS laboratory and proceeded to IPMB, Academia Sinica, Taiwan as a Visiting Fellow in 2006. To her service has guided 54 post graduate projects, 12 M.Phil., and six Ph.D students and is currently guiding three Ph. D students. She has delivered many lectures and has presented her research data in over 45 deliberations. She has published more than 45 research articles in journals of repute and has undertaken few funded projects too. Dr. Pankaj Chetia is an Assistant Professor in the Department of Life Sciences at the Dibrugarh University, Dibrugarh-786004, Assam, India. He received his Ph.D.Degree in Life Science & Bioinformatics from Assam University, Silchar in 2012. Then worked as a Research Associate in Bioinformatics Centre, Assam University, Silchar for two Years. He is having seven Years of Experience in the field of Bioinformatics His Area of Expertise includes: Computer Aided Drug Designing, Natural Products, QSAR, Molecular Docking, MD Simulation etc. 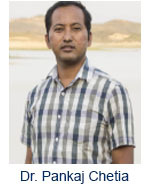 Dr. Paramananda Saikia is an Assistant Professor in the Department of Biotechnology & Bioinformatics at the University of Hyderabad, Hyderabad, India. He received his Ph.D. Degree in Virology from Indian Institute of Science, Bangalore in 2006 and earned his postdoctoral from Cleveland Clinic, USA. He is having 9 Years of Experience in the field of Virology and Innate Immunity. He is the author of many article published in high impact journals such as EMBO, Science Signaling, Journal of Virology etc. He is also recipients of prestigious Ramalingaswami Fellowship award from DBT, India. His Area of Expertise includes: innate immunity against virus and bacteria, TLR signaling, inflammation. Dr. Roshan V. Makam has given 25 years of contributions in industry and academia. Self-driven and innovative research scientist with expertise in areas of fermentation, cell culture, protein purification, filtration, process and analytical chromatography, microalgae cultivation, water purification and water reuse, combined with talents in software development. He has received National Merit Scholarship (1988-1989), Regents Scholarship (1989-1992) and also recipient of “RASHTREEYA GAURAV AWARD” 2010. 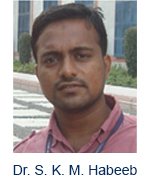 Dr. S. K. M. Habeeb is an Assistant Professor inthe Department of Bioinformatics; School of Bioengineering at SRM University, Kattankulathur Campus,Tamil Nadu. 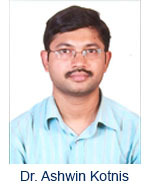 He received his Ph.D.Degree in Bioinformatics - Zoology from Guru Nanak College, University of Madras in 2012. 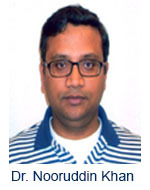 He has worked as an Assistant Professor in the Department of Bioinformatics, Guru Nanak College, Chennai from June 2007 to May 2011and then he joined as an Assistant Professor (Visiting) in the Department of Biochemistry in T.S. Narayanasamy College of Arts & Science from January 2010 to April 2012. He is having 7 Years of Experience in the Academicsand has published several publications to his credit in National and International Journals. His area of Expertise includes: Structural & Functional Bioinformatics, Agricultural Bioinformatics, Molecular Modelling & Drug Designing, Sequence Analysis, Entomology & Phylogeny. He has been awarded with the best young scientist at a National conference on Environment Protection and Management held at Loyola College, Chennai.